The Rachel Carson Council, founded in 1965, is the national environmental organization envisioned by Rachel Carson to carry on her work after her death. We promote Carson’s ecological ethic that combines scientific concern for the environment and human health with a sense of wonder and reverence for all forms of life in order to build a more sustainable, just, and peaceful future. The Rachel Carson Council (RCC) builds on the work, legacy, and environmental ethic of Rachel Carson. 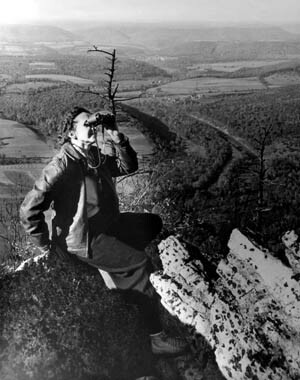 We link environmental, health and social issues, as Rachel Carson did, into a single, unified approach to today’s critical sustainability issues. We combine powerful and credible science and health research with a sense of wonder, awe, imagination, creativity and feeling for the beauty and bounty of the world that surrounds us and of which we are a part. We connect concern for the natural world with the health and well-being of our fellow humans and their communities. We engage citizens from all walks of life to expand a growing movement beyond traditional environmentalists and conservationists. We include those who have been excluded and are most vulnerable to environmental dangers — as well as those already in a position to create more sustainable, equitable policies, businesses, and institutions. Like Rachel Carson, we are concerned about the potential arrogance and hubris of mankind when detached from caring for the earth, when driven by the relentless pursuit of profit and growth, and when fueled by unconstrained technology and the reckless consumption of resources. We seek to inspire a reverence for life and build a sustainable, peaceful and just future. The RCC is a nationwide membership organization that engages and empowers our supporters to take effective action in communities, campuses, and at the local, state and national level. With the leadership of its President and CEO, Dr. Robert K. Musil, the RCC is a respected voice for policy change in the nation’s capital. In addition to its work on Capitol Hill, the RCC currently focuses its organizing at the grassroots primarily in North Carolina, Maryland, and Pennsylvania. The RCC also sustains an active and growing nationwide campus network, the Rachel Carson Campus Network (RCCN). The RCCN, currently comprised of over 51 colleges, goes beyond student organizing to involve faculty, staff, administrators and community partners. The RCCN provides its participants with the in-depth RCC Campus Dispatch, educational and organizing resources, critical news and information, and calls to action for policy change.